Marcel Ruesink from Minimax answered the question how to mitigate fire events for LNG facilities at the LNG congress in Barcelona on 16-17 October 2017. LNG facilities are exposed to fire risks. When a fire occurs due to failing equipment or inadequate fire control and protection measures, extended business disruptions may be the consequence. These will cause substantial costs and, at worst, may cause customers to turn to new suppliers elsewhere, if the delivery delays continue. The consequences originates due to the nature of LNG processing, the potential disperse of vaporized natural gas with its high fire load and rapid fire spread. The risk can be reduced by detection, fire control and/or extinguishing systems. LNG fire has challenging facets. Minimax has the right fire control and protection solution for the various LNG facilities. Recommended fire control and protection applications which suit the requirements of LNG facilities are for example vaporization reduction with Hi-Ex foam, gas cloud dispersion control by water curtains, fire suppression with dry chemical and suppression system with inert gas systems for fire risks in enclosures like compressors and plant utilities. Minimax understands the safety management issues at LNG operations and has in-depth know-how of codes and standards for fire protection, like IMO IGC (81/224), NFPA, EN & BS (66/224). Additionally Minimax has the ability to adopt local requirements, great track record on successful project completion and a company culture to meet expectations of global acting companies. Minimax provides tailored solutions wherever there is a fire threat and has a widespread fire protection experience on industrial applications, including LNG facilities, jetties, loading manifolds, compressors, machinery rooms, steam and gas turbine driven power plants. 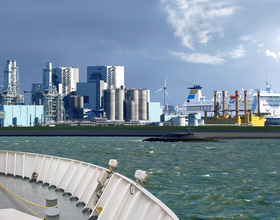 So Minimax has the competence on both landbase and marine projects and the experience to integrate them. Function and design of extinguishing systems: We will show you how it works and provide practical training. 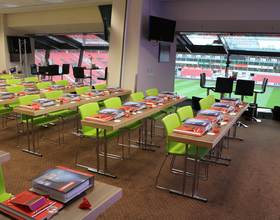 Hamburg (Volkspark Stadium) – "Practical Fire Protection"
Augsburg (WWK Arena) – "Practical Fire Protection"
Additional sessions are scheduled for November: on November 8 and 9, in the Commerzbank Arena in Frankfurt, and on November 15 and 16 in Signal Iduna Park in Dortmund. Water is the most natural of all fire extinguishing agents, usually available in sufficient quantities and affordable. It is environmentally-friendly and binds smoke and pollutants. Water extinguishing systems in the form of sprinkler systems or water deluge systems have therefore been a proven fire extinguishing technology in many applications for decades. Water mist technology is also considered an established standard in selected risk areas. Which water extinguishing system is most suitable for a type of application? What is the impact of a change in the type of extinguishing system on the design and overall planning? Which criteria need to be taken into account with regard to friction loss-free interfaces with other subsections? Learn to answer these questions and others with the help of practical case studies. Experienced project managers and specialists from our Minimax team of experts will accompany you in the development of bespoke fire protection solutions using three realistic examples. Fire protection in industrial businesses: the requirements are increasing. The requirements for fire protection solutions in industrial companies have increased significantly in recent years. Manufacturing companies are required to keep up with the challenges of a dynamic market. Among other things, uninterrupted production- and delivery capacity are important prerequisites for long-term business success. For this reason, modern industrial enterprises increasingly require process-integrated fire protection solutions that are able to combat a fire as far as possible without leaving any residues and that reduce business interruptions to a minimum. In future, this will present technical planners with the substantial task of not only taking essential fire protection requirements into account in their planning, but also to develop a bespoke fire protection concept that accommodates the need for reduced downtimes caused by fires. The right extinguishing agent. The best solution. One of the decisive factors is the selection of the ideal extinguishing agent. In addition, reliable detection and the design of the pipe system in relation to the quantity of extinguishing agent play an important role. Learn from experienced project managers how to resolve the essential issues of a customized fire protection concept for an industrial business and develop solutions for three challenging case studies in collaboration with our experts. Register now and become an expert yourself! We offer practical knowledge and provide you with a qualification for your future planning tasks in the field of fire protection. For further information and easy online registration via the Internet, please visit www.minimax.de/workshop.The Minimax Planner workshops are recognized by some professional engineering bodies as a further training measure. Each participant will receive a certificate. From 17 - 18/02/2016, Minimax is exhibiting advanced solutions in inert gas and water mist extinguishing in Hall 10.1 at Booth 413. 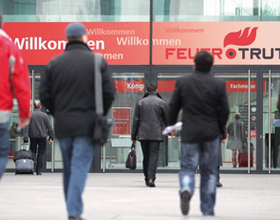 Minimax, a leader in fire protection, will present their enhanced technologies at FeuerTRUTZ 2016. Also included are live demonstrations. This year's focus will be on the Oxeo inert gas extinguishing systems, Minifog ProCon XP high-pressure extinguishing systems and UniVario industrial fire detectors. Oxeo extinguishing systems serve to minimize fire damage and consequential damage. They are suitable for sensitive areas containing valuable assets and sensitive equipment or that are subject to particularly high availability demands, such as archives, server rooms, control rooms or telecommunication systems. Oxeo extinguishing systems use the natural inert gases nitrogen or argon, which are electrically non-conductive, disperse homogeneously in case of a fire and displace oxygen from the fire source. In addition, these fire extinguishing systems are used mainly as fire protection for risk areas with flammable liquids or areas with high thermal load as they leave no extinguishing agent residue. Oxeo extinguishing systems offer all functions of modern inert gas extinguishing systems - from 300-bar-technology to the ConstantFlow option. Minifog ProCon XP high-pressure water mist extinguishing systems offer optimum protection for minimal consumption of extinguishing water for enclosed turbines, machines and installations with flammable liquids. They disperse the extinguishing water very finely via special nozzles and increased operating pressures. At the same time the total surface area of the water is increased, enabling it to more quickly absorb heat and evaporate. The accompanying cooling and smothering effect allows for effective firefighting. Using water as an extinguishing agent ensures that the protected space can be reentered immediately after the successful extinguishing, whereas in the case of the CO2 gas extinguishing systems traditionally installed on gas turbines and motor test benches, the extinguishing gas must first be extracted from the protected space. In addition, the VdS (independent German testing institution for fire protection and security)-certified Minifog ProCon XP system consumes up to 95 percent less extinguishing water, which reduces the risk of water damage to a minimum. 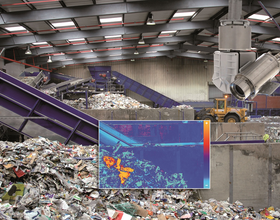 The flame and heat detectors in the UniVario product family, with their robust housing and installations, have been designed for harsh operating conditions in industrial applications. The detectors are distinguished by rapid fire detection at the same time as a high level of false alarm prevention, and are able to communicate with the fire detection control panel in Loop mode. Can be used indoors and outdoors in the immediate vicinity of the object, like the UniVario WMX5000 or at larger distances, like the UniVario FMX5000 IR. They work under extremely dirty processing conditions as well as explosion-hazard zones: for the latter classes of danger detectors graded by suitability in the Standard (without explosion protection), 3GD and Ex series (Zone 1 and 20) are available. 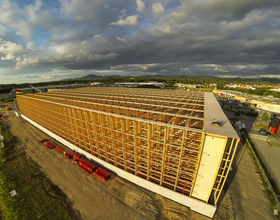 Minimax protects the world’s largest automated high rack storage system constructed from wood. To ensure the best possible safety for people and stored goods, Alnatura has installed a state-of-the-art sprinkler system designed in accordance with the most recent environmental standards in their distribution center in Lorsch. 22,528 sprinklers ensure all-round protection for buildings and the automated high rack storage system. Investing in a state-of-the-art fire extinguishing system is extremely important in a building consisting of a wooden structure or with a stock of wood to the extent used by Alnatura. A total of approximately 5,000 cubic meters of wood were built in. The automated high rack storage system houses 31,000 pallet units on eight levels. For example, there is space for more than 223 million Alnatura fruit bars or for 18.5 million packages of flour. Each one of the 1,335 shelf units has a height of 20 meters. The shelf system is anchored at a depth of 2.5 meters and well insulated. Hence the newly constructed building requires neither heating nor cooling and has no harmful impact on the environment as a result. "With their well-conceived fire protection concept, Alnatura has demonstrated that an environmentally friendly construction with easily combustible materials can be operational in combination with top fire protection technology. 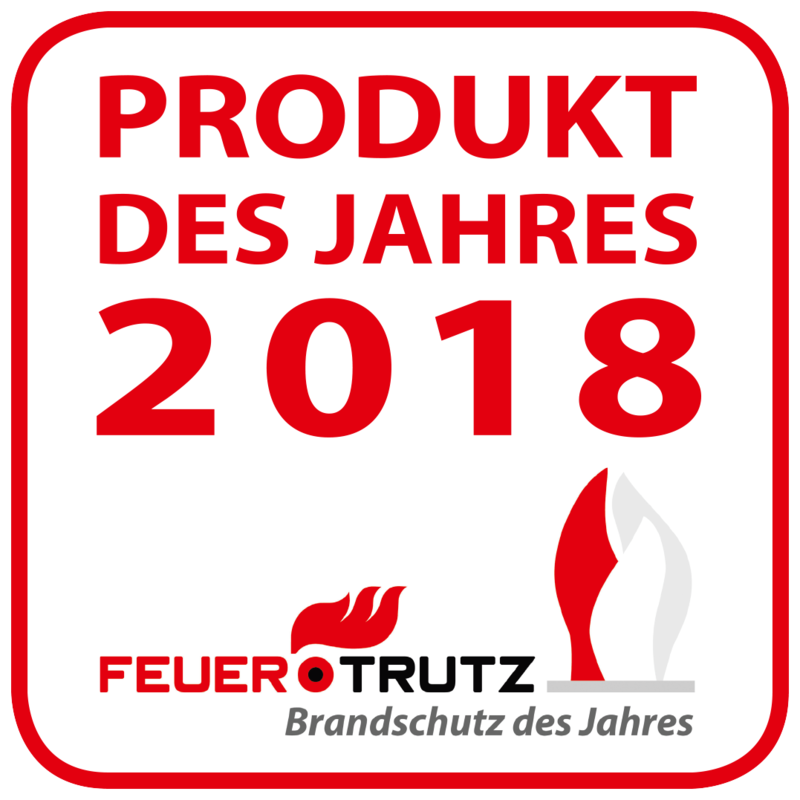 It is an example for real sustainability in all its facets, which amply deserves the quality hallmark of 'Sprinkler Protected'," explains Dr. Wolfram Krause, CEO of the Federal Association for Technical Fire Protection [Bundesverband Technischer Brandschutz]. "In line with the Alnatura philosophy, we decided quite consciously to use wood as a natural material. Of course, we were aware that we would require an absolutely top-notch fire protection system for this architecture. We are delighted about the award, which is a pleasant confirmation of our consistent commitment to sustainability approach," says Klaus Böhmer, head of the logistics division at Alnatura.